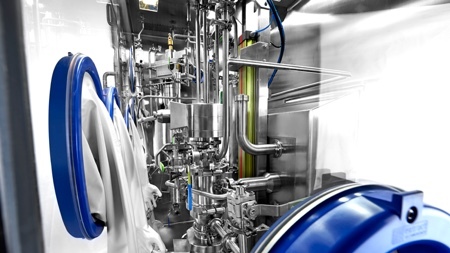 Sterility testing is a regulatory requirement for pharmaceutical products and medical devices to assess if goods are free from contaminating microorganisms. The test is carried out after it has been subjected to a sterilisation procedure (irradiation, chemical sterilisation or heat sterilisation). It is not possible to test an entire manufactured batch, thus the sterility test is classified as a statistical result; only a portion of the batch is tested to provide assurance that the rest of the batch is sterile. The United States Pharmacopoeia (USP <71>), the European Pharmacopoeia (EP 2.6.1) and Japanese Pharmacopoeia (JP 4.06), provide guidelines for the minimum number of containers that must be tested depending on the product type, fill size and batch size that must be taken into consideration when performing the sterility test. There are two types of pressure differentials in isolator or gloveboxes used for testing. These can be designed to operate under positive pressure, which is routinely chosen for sterility testing as this provides optimum protection to the product. Alternatively, they can be designed to work under negative pressure, which provides maximum protection to the operator. 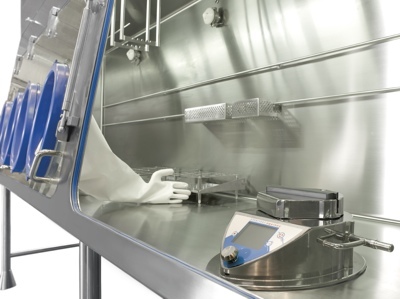 The sterility isolator is designed in such a way to allow samples, equipment and consumables to be loaded onto appropriate shelving and base trays, which will allow minimal occluded surfaces. Validation work, previously carried out, would determine the maximum number of items that can be loaded into the isolator chamber. It is critical to eliminate surface-to-surface contact as much as possible to enable the items loaded to be decontaminated. The chosen sanitisation method should come into contact with all external surface areas of the items loaded. 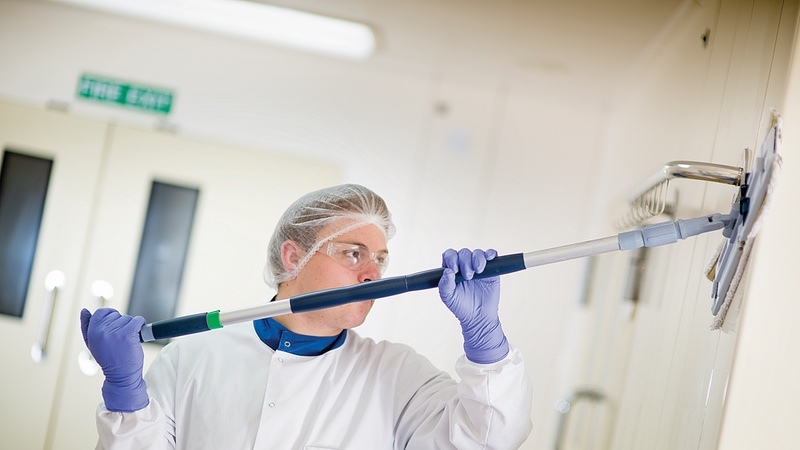 This ensures the decontamination process can effectively sanitise all exposed areas and eliminates any potential microorganisms that may have been transported inside the chamber at the time of loading. One of the common types of sanitisation methods used is a sporicidal gaseous vapour such as 35% hydrogen peroxide vapour (HPV), which is able to destroy bacterial/fungal vegetative cells as well as bacterial and fungal spores. The gassing cycle specifications used for routine testing would have been validated in triplicate using biological indicators (BI). These BIs contain a spore-forming organism that should have achieved a 6-log reduction using spores at a population of 106; this would provide evidence that the organisms present on the BI prior to gassing were successfully eliminated during the gassing cycle. The bacterial spores most resistant to HPV are Geobacillus stearothermophilus, which are commonly used for the validation process of gassing cycles. This is not the only spore-forming organism that can be used as it depends on the sanitising agent used. The locations and number of BIs should be chosen to represent a vast area of the internal chamber and placed in target areas where the gas may not be so easily accessible. Chemical indicators (CIs) can also be used during validation work alongside BIs if required in the same target areas. The vapour distribution should successfully come into contact with the areas chosen and destroy any organisms that were present on the BIs as well as achieving adequate colour change on the CIs. It is a requirement to ensure that requalification is carried out by repeating the initial validation work of the gassing cycle to provide evidence that the gassing cycle routinely used is still working efficiently. 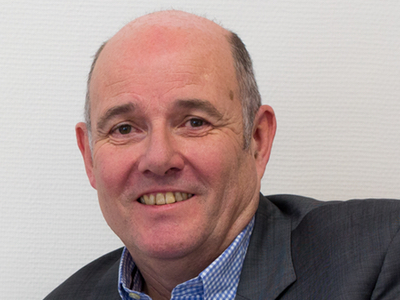 The validity of the sterilisation process should be carried out annually at a minimum, or when modifications to the cycle or load pattern have changed. The integrity of the glovebox or isolator should be checked routinely by conducting a pressure decay or leak rate test to identify if a leak is present within the isolator environment. 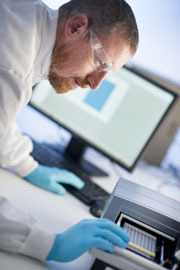 The leak rate test should meet the required specified limits depending on the class of the isolator or glove box; which are based upon guidelines detailed in ISO 14644-7 and ISO 10648-2.3-4 These guidelines should be incorporated into the internal procedures of any laboratory performing sterility testing. A pressure decay test should also be performed after the routine or non-routine maintenance work has been carried out to ensure integrity has not been compromised. Issues that may arise when a pressure decay test failure is observed span a number of things, including a breach in the isolator gloves or the suit/sleeve system; a breach in the isolator canopy; a seal that may have worked loose around the base of the canopy if it is of a flexible film design; general wear in the suit (depending on usage); issues with the HEPA filters; or the operator simply not closing the valve adequately. 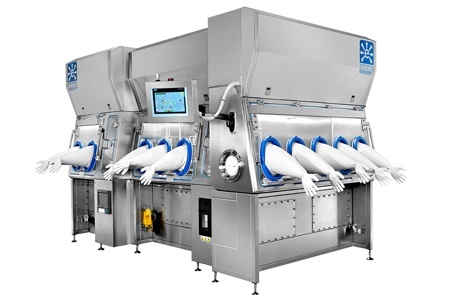 The isolator or glovebox should be thoroughly cleaned at defined intervals consisting of a thorough deep clean of all internal surfaces within the isolator/glove box chamber using a validated disinfectant. The cleaning procedure should be carried out by moving the inner shelves and base trays to ensure all surfaces are accessible to have contact with the disinfectant used. This would remove any chemical residues present on the internal surfaces that could potentially provide a shield for microorganisms that may prevent them from being eliminated by the sanitisation cycle. 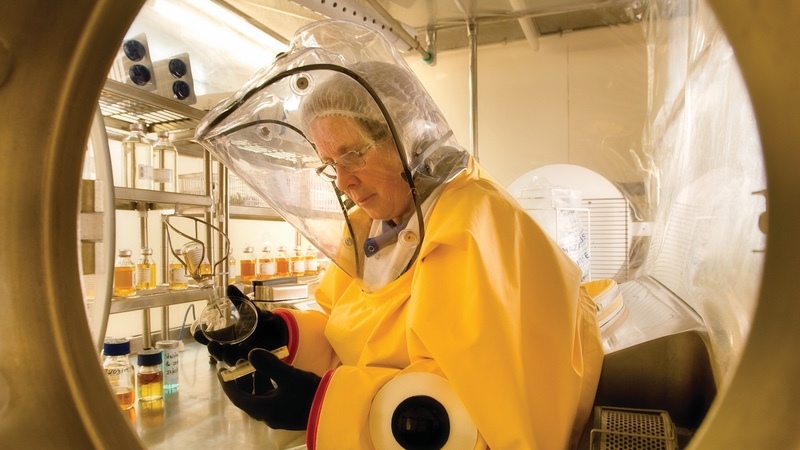 The isolator should also be cleaned using a validated disinfectant at the end of each use to remove any traces of sample residue or possible contamination that may have occurred during the testing session. Daily use of isolator/glovebox calls for visual inspection and attention must be paid to any damage (needle perforations, wear and tear) before and after each use.5 Damaged areas on the suit or sleeves can be patched, however, it is at the discretion of the laboratory how many patches can be made depending on the risk assessment conducted. The alternative option to patching is to change it completely; a pressure decay, validated gassing cycle and sanitisation tests should then be carried out to ensure the integrity is intact. The bioburden on the external surfaces can be eliminated by wiping the surface areas of all items with a validated disinfectant and ensuring it is in contact with the minimum validated contact time. 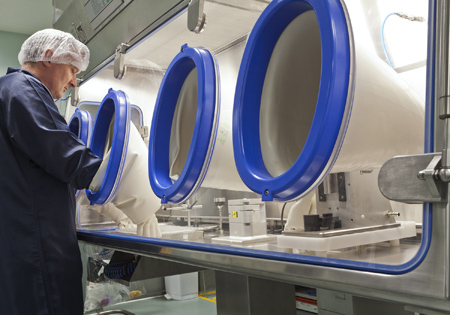 Once the surface areas are dry from the disinfectant used, the samples, equipment and consumables required for testing can be loaded into the isolator or glovebox through the transfer hatch or loading door. 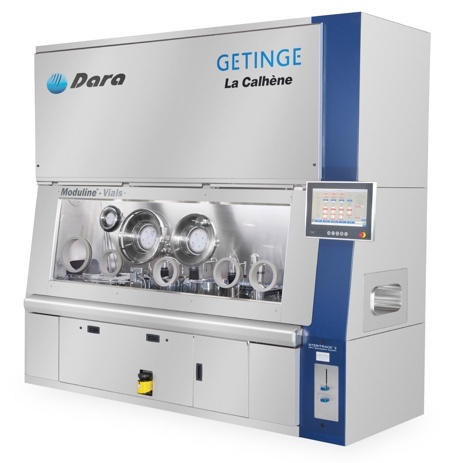 Microbiological monitoring is essential during each sterility test session. The environment is monitored throughout the test session by use of settle plates, contact plates, active air samples, swabs and finger dabs (routinely used during manufacturing). The locations of each sample type will have been previously validated, and the areas chosen would have been representative of the working area in which testing is conducted. Details of the monitoring locations should be clearly detailed in the facility’s standard operating procedures. The media routinely used for the microbial monitoring is Tryptone Soya Agar (TSA) to monitor total viable counts, Sabouraud Dextrose Agar (SAB or SDA) to monitor fungal counts and Tryptone Soya Agar with Lecithin and Tween (TLT), which can support the growth of bacteria, yeast and moulds. The medium used for testing should undergo fertility testing prior to use to ensure the batch of agar used can support the growth of the required pharmacopoeial organisms. The information obtained from the monitoring will determine if the isolator environment was operating as expected. It is essential that the integrity of the testing environment is maintained to the highest standards to ensure there is no potential risk of an invalid sterility test result. Cleaning and maintenance procedures, as well as regular equipment inspections, are critical to ensuring the isolator integrity is intact. Microbiological monitoring is also required to ensure the environment is operating as expected during each testing session. Finally, data obtained from the controls, environmental monitoring, maintenance checks and gassing cycles may be used in a laboratory investigation to determine if a sterility test is either invalid or a fail. Therefore, all procedures must be followed and clearly documented for traceability. 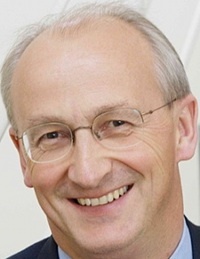 Editor's note: The article has been originally published in the July issue of Cleanroom Technology. The digital edition is available online.